Using the combination of camera and software on today’s smartphones to read barcodes is becoming increasingly popular. Want proof? Look no further than Google, which is building it into their own Android devices. And Microsoft, which is even offering such software on rival phones by Google and Apple. Today, one of the big players in this space, Big In Japan, is announcing the acquisition of another former player, Snappr, to beef up the offering. Big In Japan is best known as the app production house behind ShopSavvy, the mobile shopping utility. It has long been one of the cooler apps on Android, and recently it became available for the iPhone too. With it, you can simply scan a barcode in a store and find out information about a product — most notably, if you can find it somewhere else for a cheaper price. 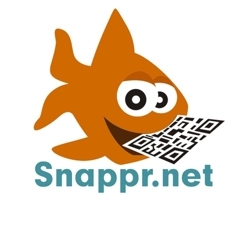 Snappr, meanwhile, deadpooled in late 2009, but was an early player in 2D barcode scanning (particularly QR codes) with smartphones. With the acquisition, Big In Japan picks up Snappr’s technology, which they will integrate into ShopSavvy . And Snppr founder, Philip Stehlik, will join Big In Japan’s board of advisors. Snappr’s former website already redirects to a new Big In Japan holding page. Terms of the deal were not disclosed, but again, this is a company that was already deadpooled, so it was most likely a pretty cheap pick up of some technology by Big In Japan.